As we reported back in May, TAG Heuer has cut a very smart deal to get its watches on the wrists of the main characters in Kingsman: The Golden Circle, the sequel to Matthew Vaughn’s 2015 hit due out in September. The movie stars Colin Firth and Taron Egerton as elite and exceptionally well-tailored British secret agents who totally outdo James Bond when it comes to cool gadgetry and outlandish plots. The sequel features Julianne Moore, Halle Berry, Channing Tatum, and Jeff Bridges, the last two agents of an U.S spy agency that’s the American equivalent of the Kingsmen. 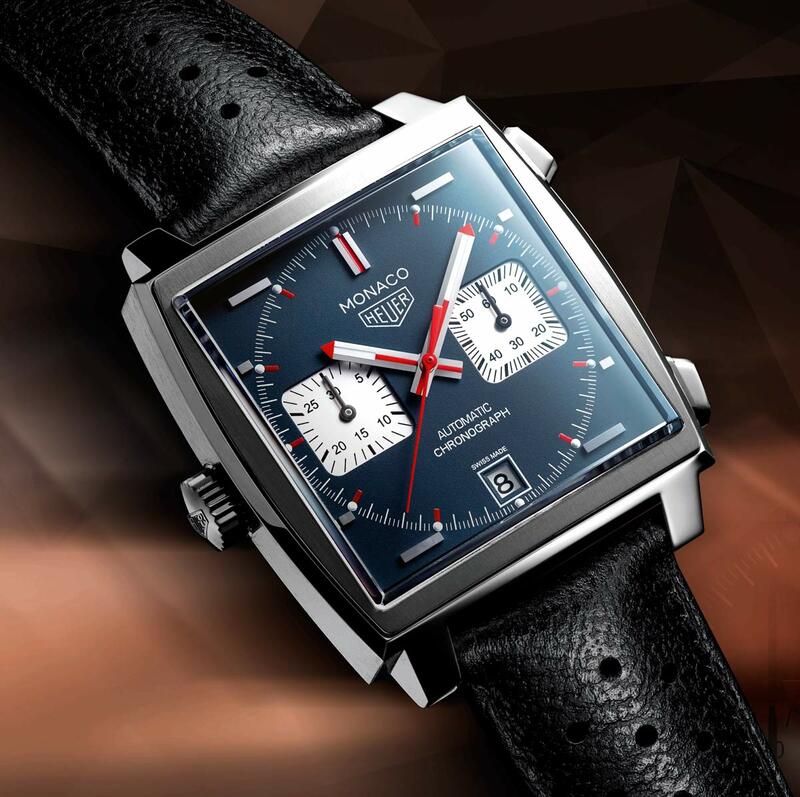 In the movie, the British agents will wear a special edition of the TAG Heuer Connected Modular 45 watch while the American agents, who demonstrate superior taste in timepieces in this instance, sport retro TAG Heuer Monacos a la Steve McQueen. 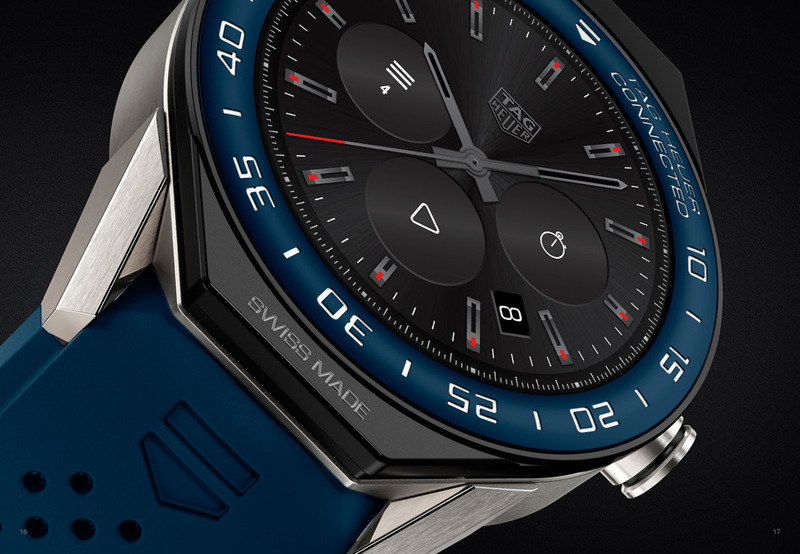 TAG is partnering with A-list online menswear retailer, Mr. Porter, on the special edition release of the Modular Connected 45 watch. It was just unveiled in London by TAG CEO and LVMH watch chief Jean-Claude Biver, Vaughn and Mr. Porter Managing Director Toby Bateman. The Kingsman Special Edition Connected Modular 45 watch features various lug colors and a leather strap with Kingsman print. It comes with a second strap in orange velvet, inspired by the orange velvet smoking jacket worn in the film by Egerton. Available in either midnight blue or grey, the dial bears the Kingsman legend and logo at 9 o’clock and 3 o’clock. At 10:10, the dial vibrates for 10 seconds and the K-shaped logo appears. In a final nod to the film, the original Android Wear lighting function is replaced by the film’s logo on the dial, in gold on a white background. Starting July 6th, the Kingsman Special Edition will be exclusively available for one month via Mr. Porter online. This is TAG’s first global online launch, following partnerships with Chinese online retailers JD.com and Tmall.com and is part of Mr. Biver’s strategy to build the brand’s e-commerce business. “The intersection between Kingsman and TAG Heuer speaks to what defines a gentleman today,” Biver says. “A combination of prestige, avant-garde and access to a connected world. Our customers are buying through online channels more and more every day. We need to be where our customers are, which means we need to be online! 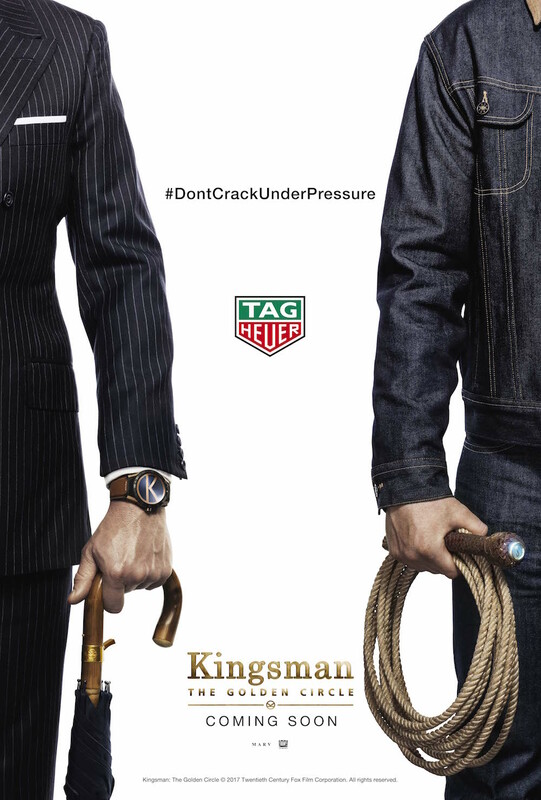 It is wonderful to be partnering with Mr. Porter because it is perfectly in line with TAG Heuer’s e-commerce strategy, providing a new online purchasing platform for the next generation of TAG Heuer fans.” Judging by the trailer, the new Kingsman flick will be a huge success. Whether TAG can get in on the action remains to be seen.